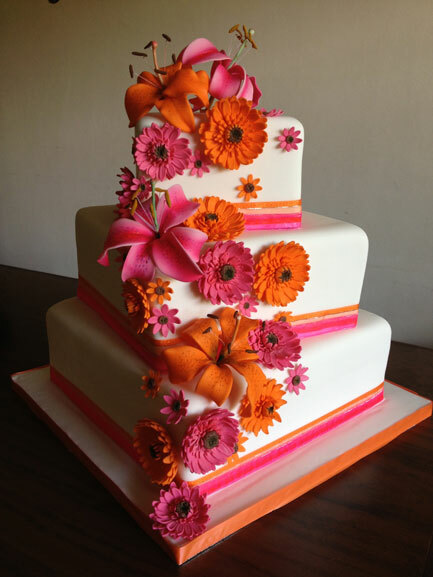 Gerbera daisies and lilies adorn this summer wedding cake in pink and orange. Carrot cake with cream cheese filling makes this a deliscious choice for any wedding. Each sugar flower is handcrafted in every little detail.